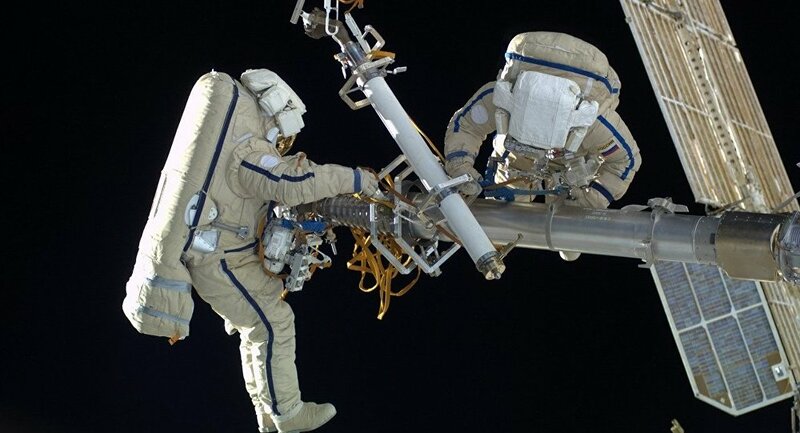 MOSCOW (Sputnik) - Russian cosmonauts Oleg Artemyev and Sergei Prokopyev will spend almost seven hours in the open space on Wednesday on a mission to install an antenna as part of a birds monitoring the experiment. The two cosmonauts, wearing new generation space suits, Orlan-MKS, will step out at 16:00 GMT and the mission is expected to last until 22:55 GMT. On the same mission, Artemyev and Prokopyev will launch four nanosatellites into orbit and pick up bacteria samples from the International Space Station's (ISS) external surface. So far, 19 space dust samples have been delivered to the Earth since the experiment began in 2010. The scientists found DNA of bacteria from the upper level of the World Ocean, the dust with a strong concentration of holmium, normally typical of Przybylski's Star in the constellation of Centaurus. 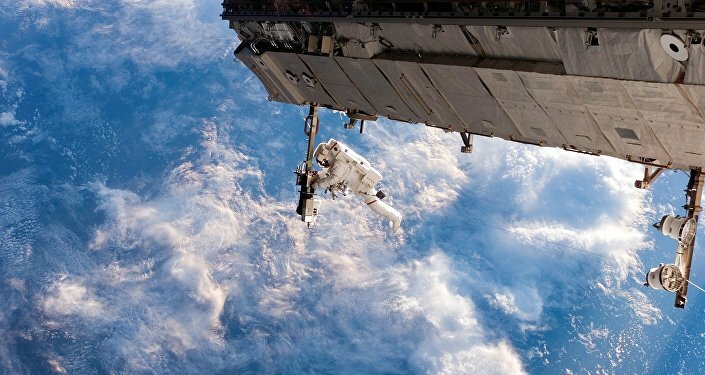 The scientists determined that the surface of the ISS could contain traces of extraterrestrial biomaterial.